Trilochan Sastry, Professor in Quantitative Methods and Information Systems, Indian Institute of Management Bangalore (IIMB), has been awarded the ‘Bharat Asmita’, an honor instituted by the Pune-based MIT group of institutions. Professor Sastry teaches a wide variety of courses in the post graduate programme, doctoral programme and executive education programmes, including operations management, quantitative methods, data structures, algorithms and discrete mathematics, at IIMB. To his credit Professor Sastry has, a number of management cases on operations management, ethics, change management and electoral reforms. 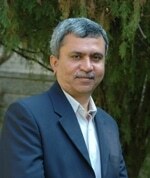 Professor Sastry will receive the award, which carries a cash prize of Rs. 1.25 lakh, a memento and an inscribed copperplate citation, on February 3, 2015.